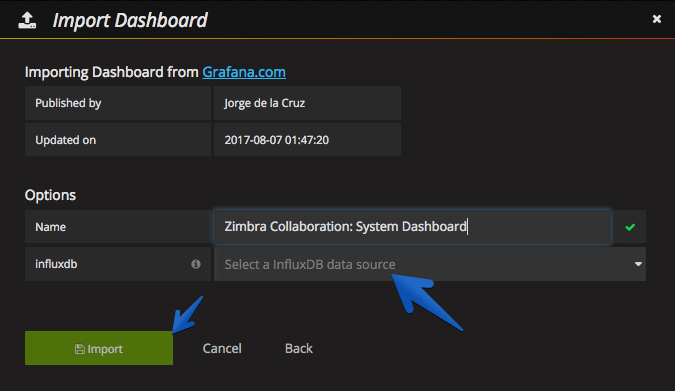 On this Wiki, we will see how we can monitor Zimbra by using Grafana, InfluxDB and Telegraf, this dashboard is a very early version, v0.1 even. Your feedback is always welcome. 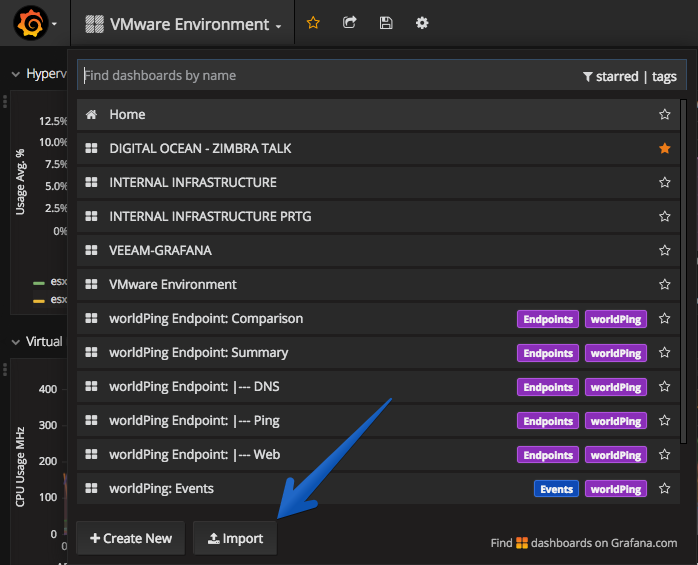 In order to collect information from the Zimbra Collaboration mail queues, as well as to calculate messages sent, etc., I have used the pflogsumm itself, and with it I have modified the output to be in InfluxDB format. I want to thank Lex Rivera for his work, who is the creator of the rest of the Dashboard for the Linux, CPU, Disk, RAM, etc. metrics. The following screen will appear, and we can either upload the downloaded. json file, or enter the ID of the Zimbra Dashboard: 2846, we will automatically appear the following, select our datasource and give it to Import.